I doubt I’m the only one who gets carried away when it comes to online shopping. To help budget my spending on clothes, I’ve replaced this habit with clothing subscription boxes and it’s been working great! 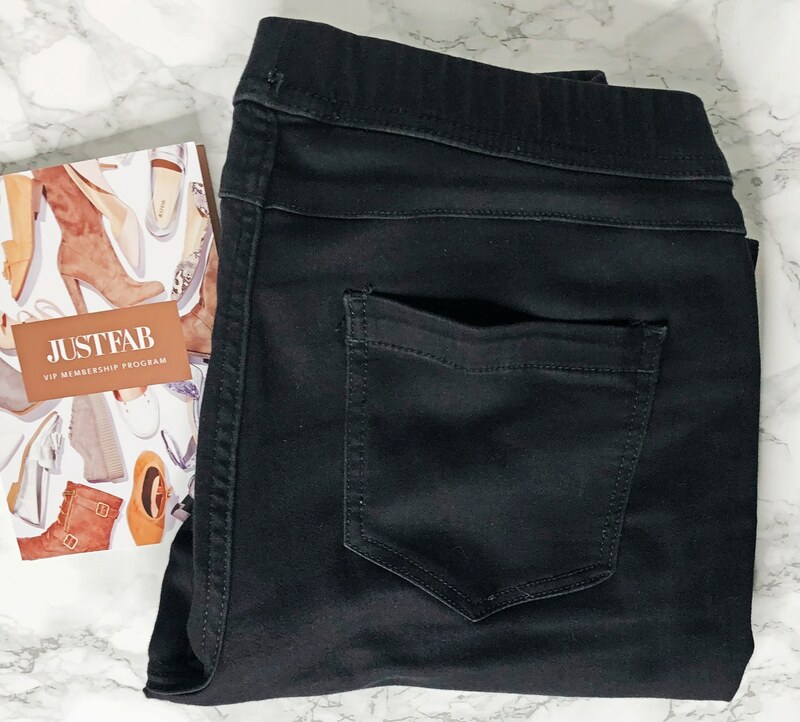 JustFab is one that I recently subscribed to. They have a unique and flexible monthly clothing subscription—their VIP program charges members $39.95 per month, which you use as a credit to purchase any items you’d like. As a member, you get access to amazing introductory savings, exclusive sales, and rewards. The monthly fee helps me budget because I make sure not to spend more money than the fee, no matter what sales there are. This JustFab review shares the clothes I received this month, how to save money with their introductory deals, similar clothing subscription boxes, and so on. I received my order just a few days after I placed it. My products were shipped in a small, plain brown box. It was beaten up a little from shipping, but everything inside was fine. Since I received a couple pairs of shoes in my previous JustFab boxes, I decided to try out a couple of apparel items this time! I used my VIP member credit for a hat and a pair of jeggings. It also came with a small JustFab booklet. I’ll be reviewing each item below! I thought this hat was adorable when I saw it online. However, I often see hats online that look great on the models, then I try them on at home and they look weird on me. This wasn’t the case with this one! It’s a really cute black hat and is a great, simple accessory. The only downfall is that it tends to attract lint easily. However, this is almost always the case with black clothing and accessories, so I expected as much. Overall, I’m glad I added this to my order. I love jeggings, but it’s hard for me to find ones that fit perfectly and look good. These had great customer reviews and were only around $25, so I took the risk. Plus, JustFab returns are free for VIP members, so it wasn’t that much of a risk. Thankfully, they fit great! They’re successfully high-waisted without looking strange like some do, and they hug my curves well. They feel high-quality, but we’ll see how they last throughout the next couple of months—I’m sure I’ll be wearing them often! One of the greatest benefits of being a JustFab member is receiving access to their deals and sales. For example, they usually offer your first item at $10, which applies to nearly every item they offer. If they don’t offer this at the time you’re looking to join, I would recommend waiting for the sale to start up again because it’s well worth it! I got my first pair of adorable, high-quality shoes for under $15. Although you need to sign up for their VIP member program to get this deal, you can cancel at anytime—even before they charge you. This is a great way to try out an item from JustFab to see if the quality lives up to your standards. If you want more than one item, this deal becomes two styles for $39.95, which is still pretty good if you’re selecting higher priced products. Additionally, you’ll receive more deals throughout your time as a VIP member as well. They commonly have sales that are available for members only! For example, they have 30% off your entire order at the moment. Plus, the member pricing is great for many of their items. Justfab might not seem like the right option for you. If this is the case, don’t be disappointed! There are plenty of other clothing subscription services on the market. The following clothing subscription boxes are a couple great options that work a bit differently. This clothing subscription box is great for busy individuals—a personal stylist selects items for you, you try them on at home, and then send back whatever you don’t want in the prepaid mailer bag they provide. This saves tons of time that would’ve been spent shopping in stores or online. Although there is a fee of $20 per shipment, this is applied as a credit towards any items you purchase. 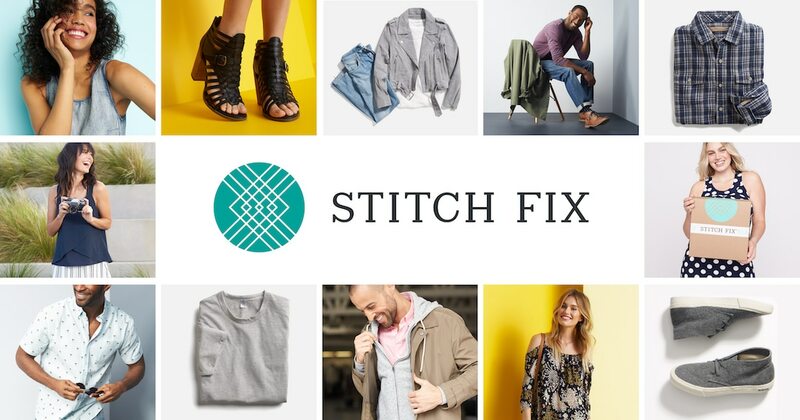 Although it can be difficult to trust another person to pick out clothes for you, I was very surprised by how well they were able to capture my style, as you can see in my Stitch Fix reviews. On the other hand, Le Tote is a rental clothing subscription service! You pay a set monthly fee to receive a certain amount of clothes and/or accessories each shipment. Once you decide that you’re finished with one shipment, you send them back in the free mailer bag and receive another. It’s very easy, and you get access to unlimited styles! My Le Tote reviews share how you can try it out for free. To sum up this JustFab review, I was very happy with the items I received this month. They fit perfectly and looked great! Everything I’ve received from this company so far has been high-quality and adorable. Although their subscription setup seemed confusing and strange at first, I think it’s been worth it because of all the fantastic deals. It’s a great subscription for people who regularly shop online—it helps you budget by giving you a monthly price, but you’re still able to get your fix and pick out items yourself!